Dezine by Mauro local wedding photography melbourne site is our new recent client. We handle all online marketing and advertising. We have just created a new website for Carpet Cleaning Melbourne. A website that shows off the best carpet cleaners in Melbourne. 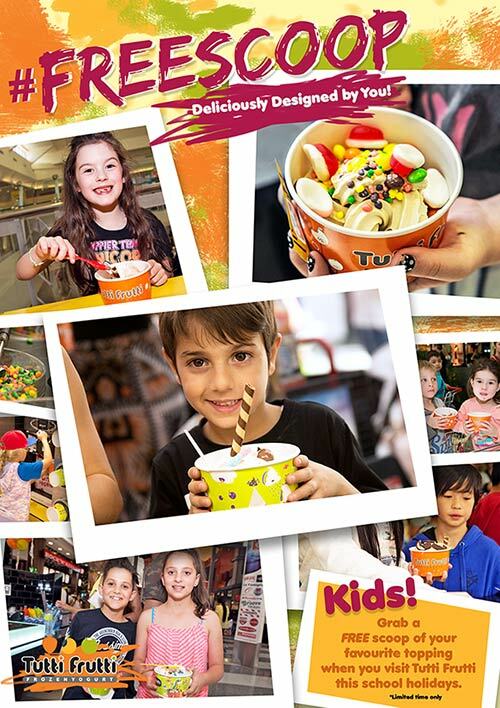 This school holidays kids can grab a FREE scoop of their own choice. I wish I was a kid again. 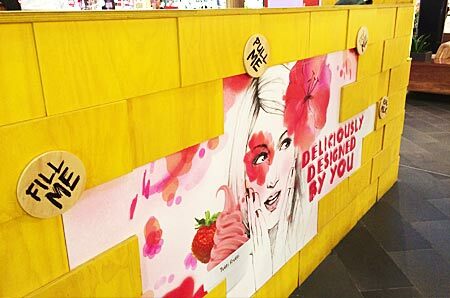 One of this months successful campaigns for Tutti Frutti. 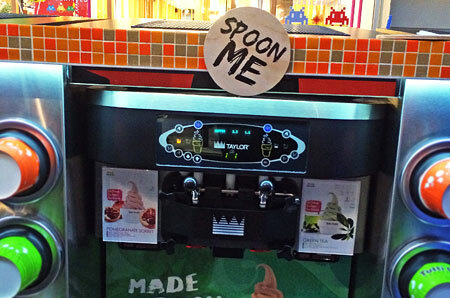 We have tested these creations at the highpoint store and more customers used the self-serve machines with the signage than without. Job well done!! NEW Store Designs from The Red Ice Creative Team! 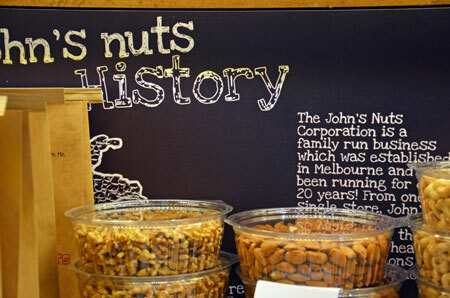 Red Ice Creative has just finished the design to the new kiosks for the John’s Nuts stores, TOTALLY SELF SERVE! 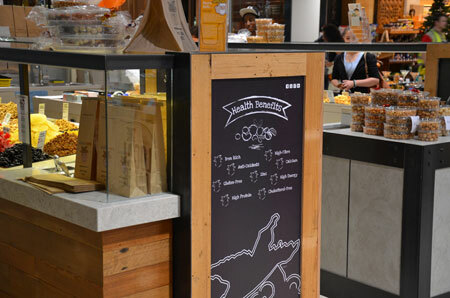 Our design truly matched the organic natural look for the brand new stores. 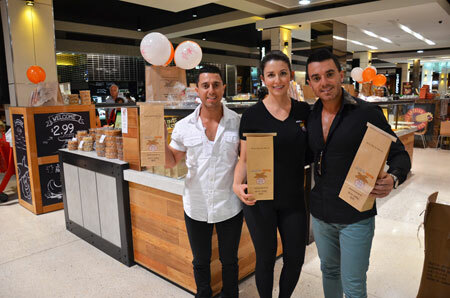 New concept stores now open at Southland and Doncaster Shopping Centres. It has been a very busy week here at Red Ice headquarters with our first major photo shoot taking place for our client John’s Nuts. A fun day was had by all as we prepared for an exciting John’s Nuts 2015 social media and advertising campaign. 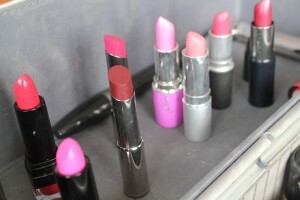 Special thanks to Nikki Di Matteo for her lovely make up artistry. Check out her details below to book her in for your next special occasion. We’d also like to thank our models Niki Cardona, Danielle Drew, Stephen Cristiano and Louis Zammit. 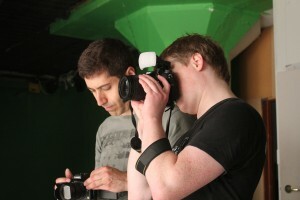 Thank you to Stellios for his help throughout the day with photography and use of the studio. Here at Red Ice Creative we love all things contemporary and new age in the creative sphere. We love when people think outside the box to see a thought come to fruition and that’s exactly what Vasileios Roumeliotis did when creating this LED light out of an old bike wheel. The wheel is set on a black glass surface with LED tape creating the ambient light. For more information check out http://bit.ly/1Cw5mZA. Have you got a creative idea or talent? Let us know and we’ll showcase your work here!